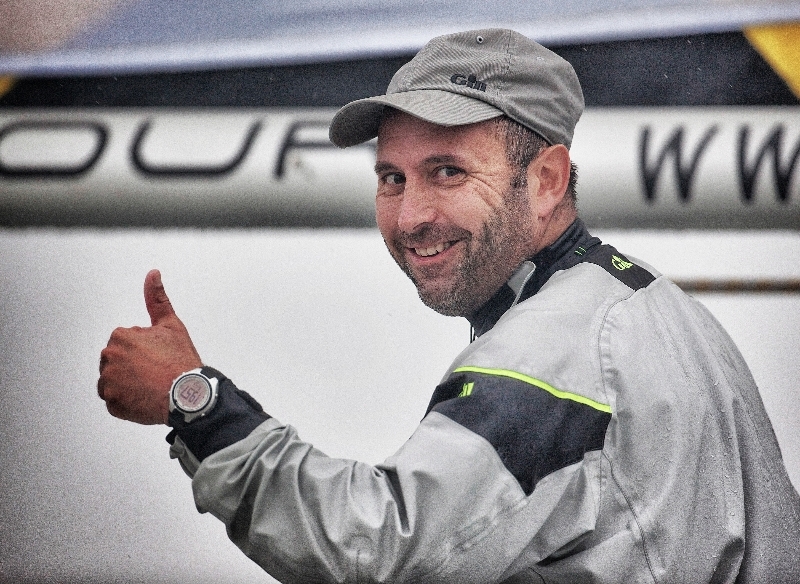 London, UK (29th May 2014): Like Phil Robertson, Swede Björn Hansen has been hovering around the podium for the last two seasons on the Alpari World Match Racing Tour, finishing second in 2012 and fourth last year. He reigned supreme on home waters, winning his third Stena Match Cup Sweden last year and followed this up with a third at Chicago Match Cup, but before this had failed to make the top eight in Korea. A shade more consistency through the season and Hansen stands every chance of taking the elusive big prize this season. One of the main aspects for a team to remain consistent is its crew and for 2014 Hansen will be racing with the same line-up as he has had for the last couple of seasons. This comprises well known Swedish fighter pilot tactician/mainsail trimmer Gustav Tempelman, Danish headsail trimmer Phillip Kai Guhle, pitman Sebastian Wedel and the longest member of Hansens’ team, bowman Mathias Bredin, who has been sailing regularly with him for ten years now and helps Hansen run the project. Like Australia and New Zealand, Denmark and Sweden have a lengthy tradition in match racing, which Hansen and his crew are continuing. However Hansen advises that there is likely to be a transition coming soon. The 2014 Alpari World Match Racing Tour championship kicks off at Match Race Germany next week beginning 5 June – 9 June. The Alpari World Match Racing Tour is one of five special events sanctioned under the International Sailing Federation (ISAF) including America’s Cup, the Volvo Ocean Race, the Extreme Sailing Series and the PWA World Tour.